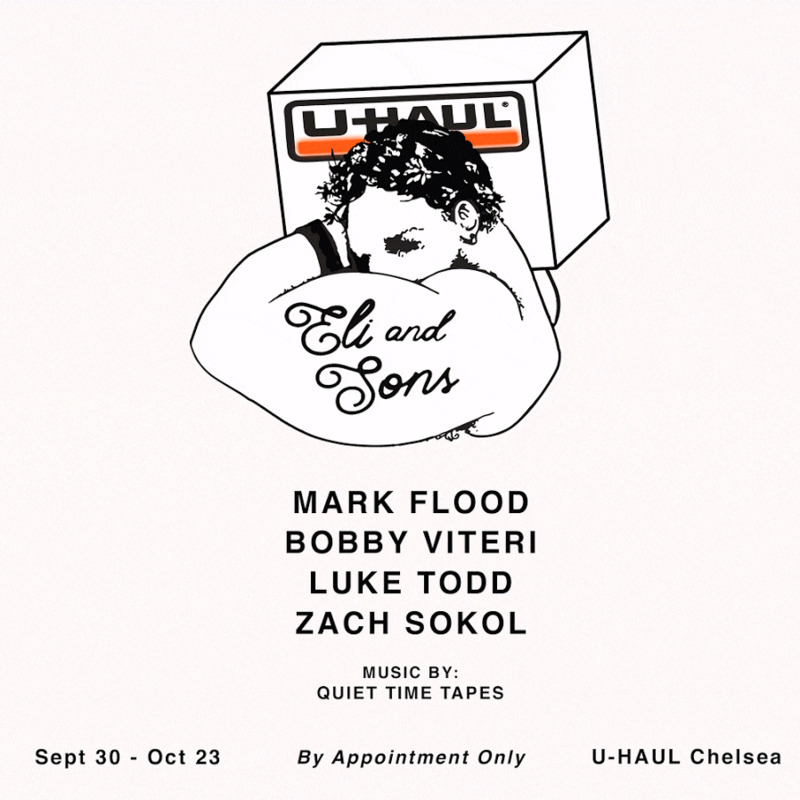 Four artists convinced U-HAUL to let them stage a pop-up show, "Eli & Sons," in one of the company's empty storefronts at 562 West 23rd here in New York City. 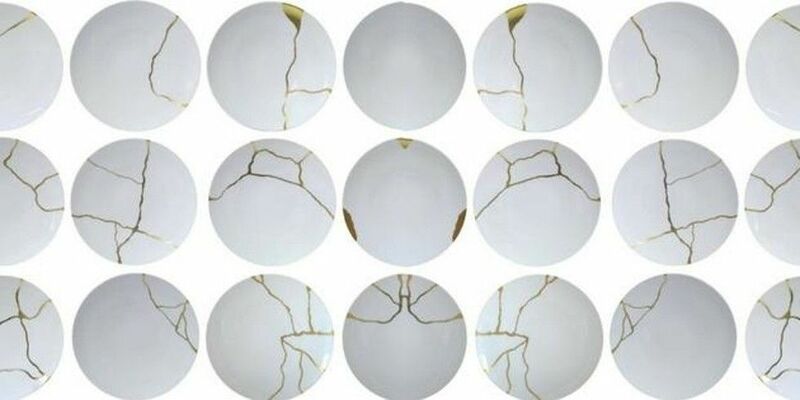 The show includes Luke Todd's mechanical sculptures, a psychiatrist's office where Zach Sokol will hold sessions, and a pick-up truck installation by Bobby Viteri. Eli Libman will also use the space to launch a new music project called Quiet Time Tapes and, to add to the fun, the four invited Mark Flood to bring along several new works. The opening is Friday, September 30, 6 to 9 p.m., and then it's up until October 23rd -- "by appointment only" -- via marcella.zimmermann@gmail.com. The space is just around the corner from the site of Flood's 2014 "Resents" show. 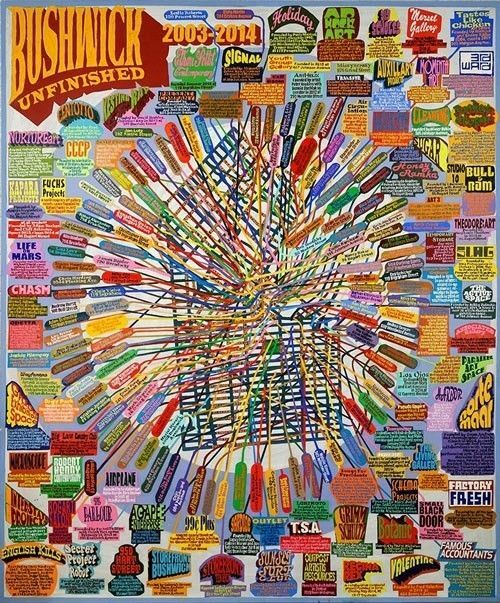 Bushwick Open Studios -- "NYC's largest open studio event" -- kicks off on September 30, 6 to 10 p.m., with the opening of a big group exhibition called "Seeking Space: Making the Future" at David & Schweitzer Contemporary (56 Bogart Street, Brooklyn). The night also celebrates the launch of Arts in Bushwick's first book "Making History Bushwick," and it's the inaugural show at the gallery. Hundreds of studios, galleries etc. will then be open all weekend, October 1 and 2, for this 10th edition of BOS. Go HERE for the complete rundown. 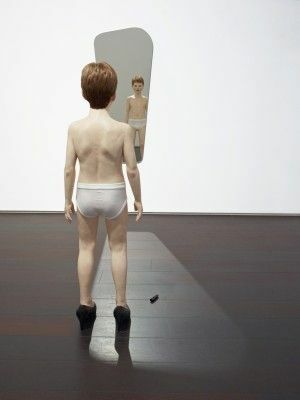 The FLAG Art Foundation (545 West 25th Street) opens a show called "Changing Subjects" by the Scandinavian art-duo Elmgreen & Dragset on Saturday, October 1, 6 to 8 p.m.. The artists have been collab'ing for 20 years and their work ranges from sculpture to major conceptual installations including: "Prada Marfa" and the vertical swimming pool, "Van Gough's Ear," seen recently in Rockefeller Center. On view until December 17. 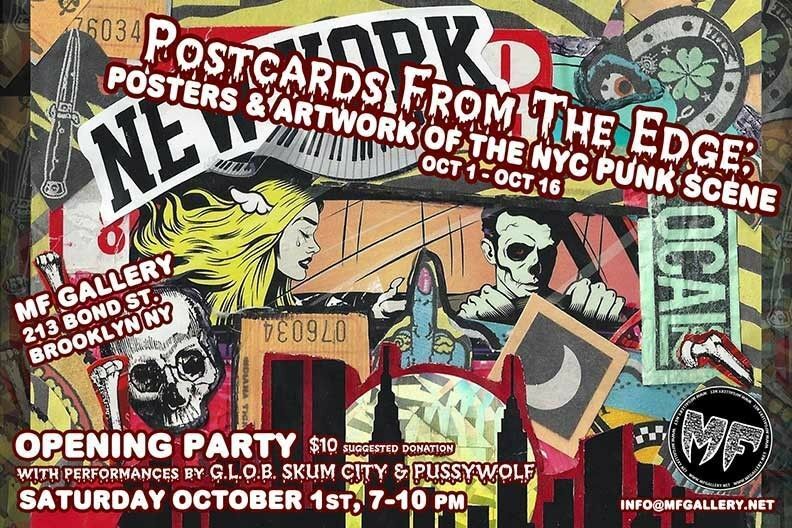 If you can tear yourself away from Bushwick, head over to Gowanus for a show about the NYC punk scene called "Postcards From the Edge" at MF Gallery (213 Bond Street, Brooklyn), opening on Saturday, October 1, 7 to 10 p.m. Expect flyers, posters and ephemera from the 70s to the present; plus music (and wrestling) on opening night from GLOB, Skum City and Pussywolf with a $10 suggested donation. After the party, you can check out the exhibition by making an appointment via the gallery. 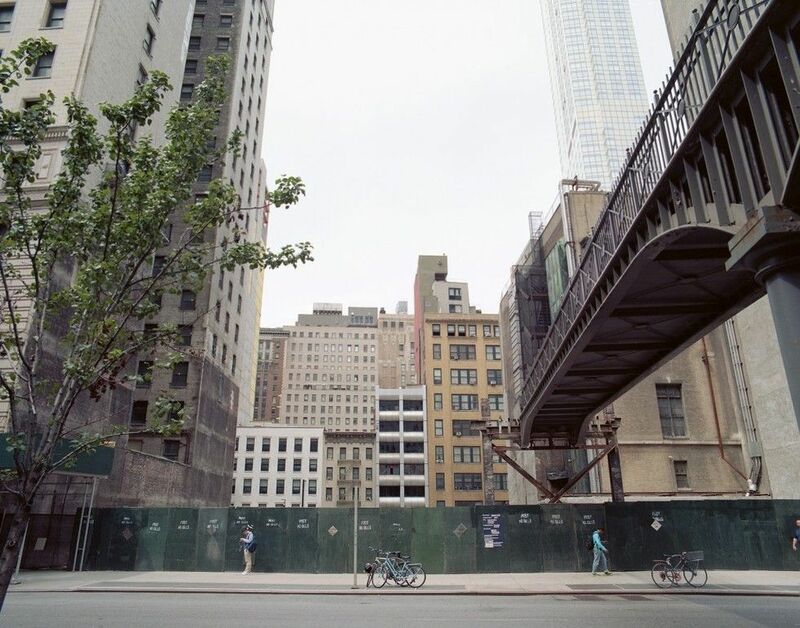 Red Bull Studios (220 West 18th Street) opens "Total Proof" on September 30 and running through November 27. This is the first comprehensive New York exhibition of a conceptual art project called "In the Name of the Place" that involved the covert placement of "props" on the set of the prime-time TV show Melrose Place between 1995 and 1997. A team of artists, put together by Mel Chin and known as The GALA Committee, managed to insert various items into the TV show including condom-printed pillowcases and the image of a liquor bottle superimposed on a photo of the 1995 Oklahoma City bombing. The Storefront for Art and Architecture (97 Kenmare Street) is not closing or moving, but you might be confused by their "Work in Progress" show opening September 27, 7 to 9 p.m. Until October 22, the space will be enclosed by a green construction fence and the exhibition will feature "alternative visions" of NYC construction sites by several architecture and design firms. Storefront's annual membership dinner will be on Tuesday, October 4. Bullet Space (292 East 3rd Street) opens an exhibition called "Folding/Unfolding" featuring new works by Brigitte Engler on Friday, September 30. The show was curated by Alexandra Rojas and includes "video images, concrete music, kinetic art and rubbings." On view until October 30. Venus (980 Madison Avenue) has an exhibition of 12 historic paintings by Billy Al Bengston opening on September 29. The show will also include several new "Chevron" paintings and a custom Triumph motorcycle designed by Sonny Nutter. 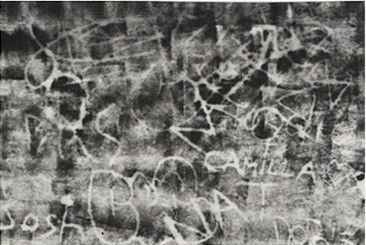 Bengston was represented by L.A.'s Ferus Gallery (Ed Ruscha, Edward Kienholz, Larry Bell etc.) 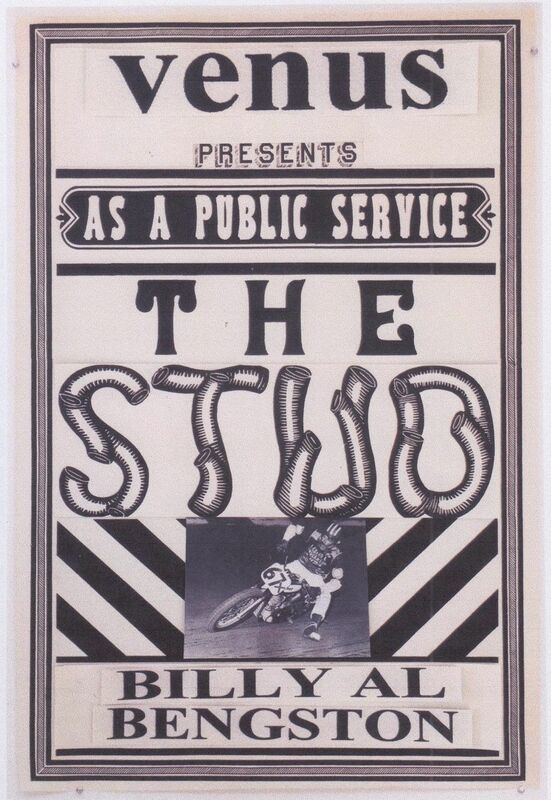 until it closed in 1966 and his work is often identified with L.A. motorcycle/car culture and American pop art. On view until November 2. NYC creative collective The Bellwether hosts a one-night-only event called "The Heat of Memory" on October 1, 7:30 p.m. The "participatory installation" by author Will Chancellor, artist Alaska McFadden and neuroscientist Ben Okaty invites the audience to explore "what is lost and gained in the making of a memory." Tickets are available HERE, and the location will emailed prior to the event. 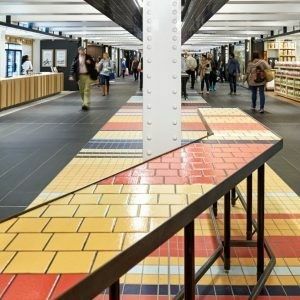 October 5 Building of the Day is "Turnstyle," the food/retail center inside the Columbus Circle subway station. Photo by Ty Cole. It's Archtober! October is architecture and design month in NYC and this year's sixth edition includes over 100 tours, films, exhibitions and talks all over town. 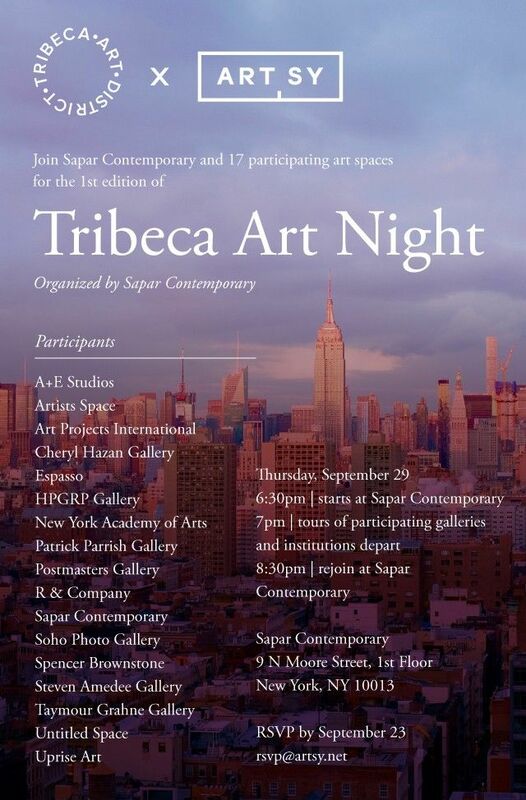 You can get the full rundown HERE, or visit the Archtober lounge at the Center for Architecture (536 LaGuardia Place). They have a great program called "Building of the Day" that gives ticketed access and tours of 31 unique NYC spaces. Tickets are HERE.